Andrés our photographer shares his childhood memories with this dish. Enjoy! Enfrijoladas de jamón take me back to my childhood. The kitchen wasn’t just the most important room in the house where my mother cooked delicious meals but also where she made memories. I grew up in the state of Morelos which borders Mexico City, and the States of México, Puebla, and Guerrero in the center of the country. In my house, my mother almost always cooked for us. Trips to restaurants were reserved for weekends and special occasions. 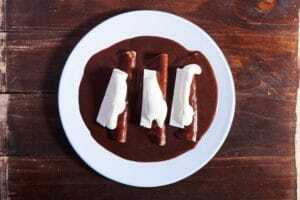 There is one dish in particular that my mother made for us when she was short on time to prepare a more elaborate dish, enfrijoladas de jamón. The ingredients for this dish were almost always on hand. There was always ham which my mother used to prepare my sandwiches for school or serve us a light dinner. And, there were always beans that hadn’t been eaten the day before which became the base for this dish. 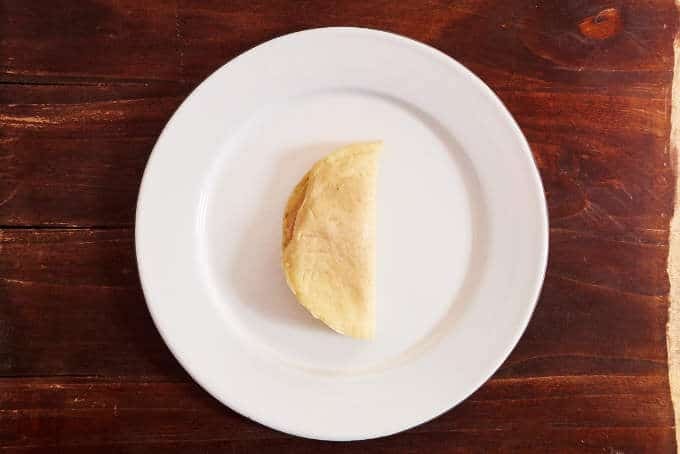 This dish is a small story from my childhood, in which I ate delicious home-cooked food prepared by the marvelous, magical hands of my mother. I have memories of all her dishes but this one has a special place in my heart. Perhaps, because it’s such a simple dish it has such lasting memories. 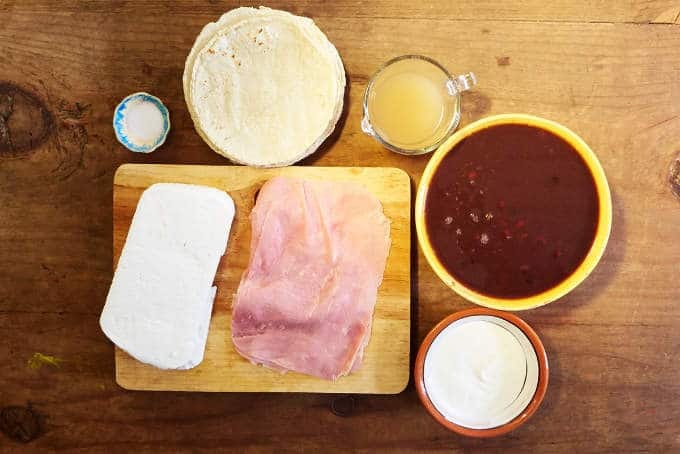 To prepare this dish you will need some cooked beans, chicken stock, ham, corn tortillas, panela cheese and crema, Mexican cream. The sauce couldn’t be easier. 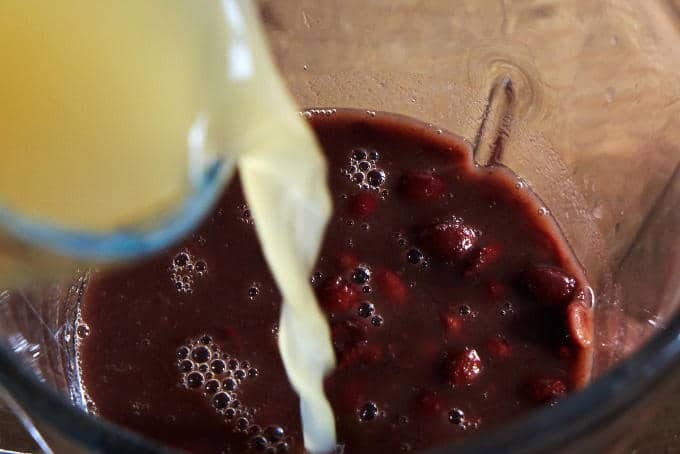 Blend the beans with a little bit of the liquid they were cooked in with the chicken stock until smooth. Try our bean recipe, frijoles de la olla. The sauce should be smooth, not chunky. 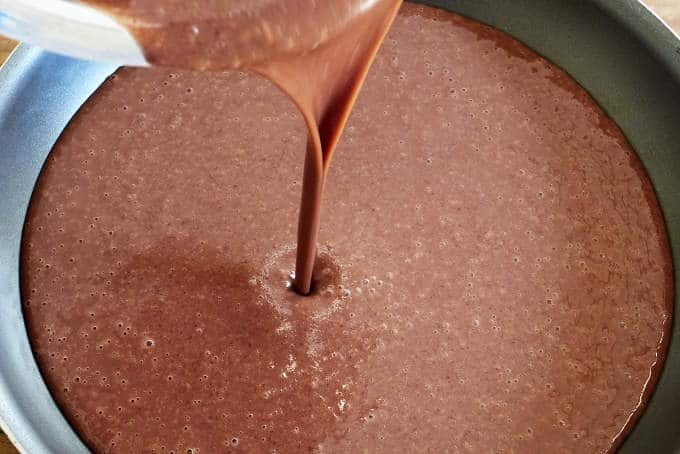 Pour the blended beans into a frying pan. 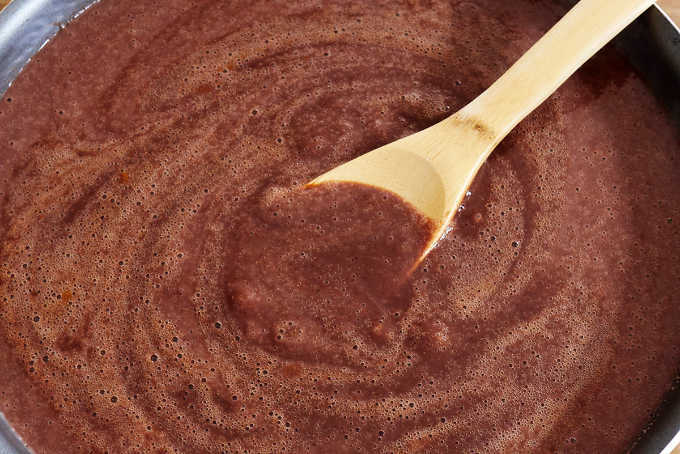 Cook over low heat for 20 minutes until the sauce has darkened and becoming slightly thicker. 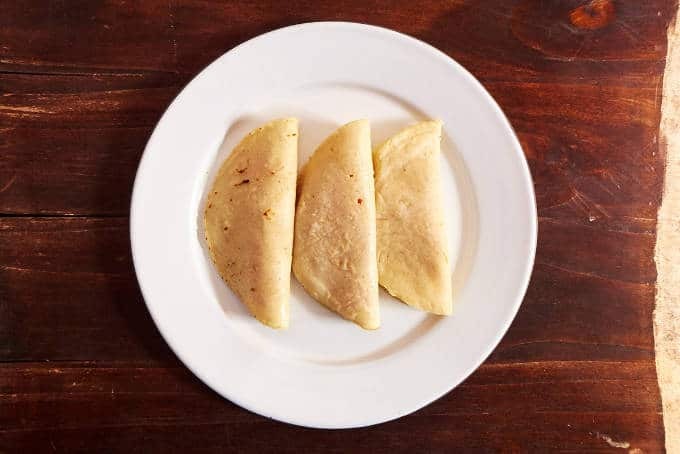 You need to lightly fry the corn tortillas in hot oil to seal them so that they don’t absorb the bean sauce and that they become pliable so that you can fold them without breaking them. Fry for about 10 seconds on each side. Fry all of the tortillas before assembling the enfrijoladas. Drain them on paper towels. 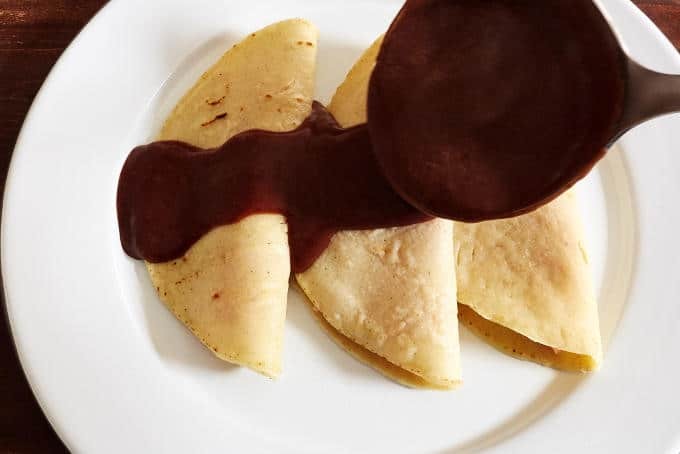 To assemble the enfrijoladas, place a tortilla on the plate you will serve them on. 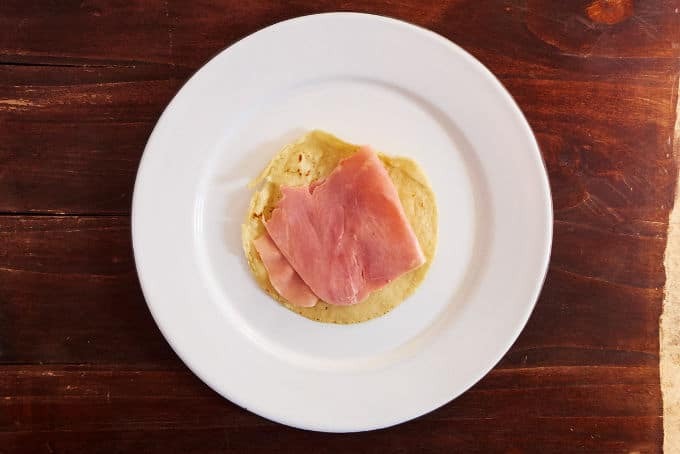 Add a slice of ham to each tortilla. Fold the tortilla in half. Three enfrijoladas per person is a good serving size, four if you are really hungry. Spoon the warm bean sauce over the tortillas. Top each enfrijolada with a slice of panela cheese and spoonful of Mexican cream, crema. Hopefully, this recipe will have lasting memories for you too. 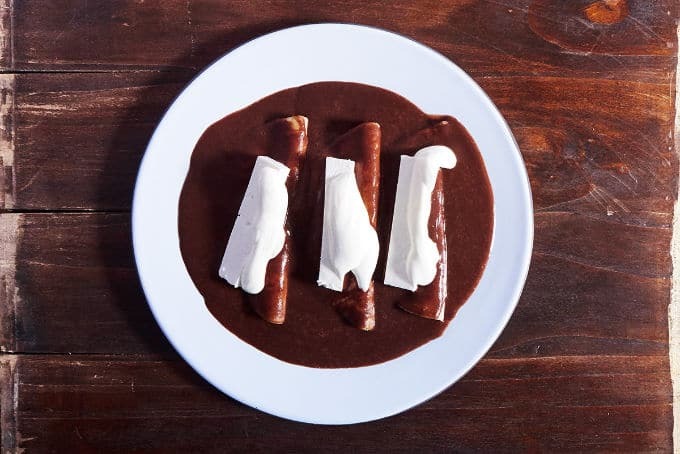 Recipe for Enchiladas with Bean Sauce or “Enfrijoladas de Jamón,” straight from the childhood kitchen of our photographer Andrés. Flavor and memory combined into a wonderfully simple home-cooked meal. Blend the beans with a little bit of the liquid they were cooked in with the chicken stock and 1 tsp. of salt until smooth. 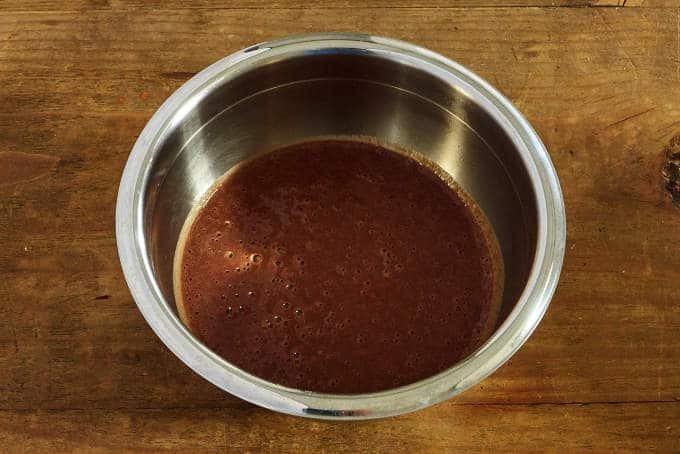 Cook over low heat for 20 minutes until the sauce has darkened and becoming slightly thicker. Taste and adjust the salt if necessary. 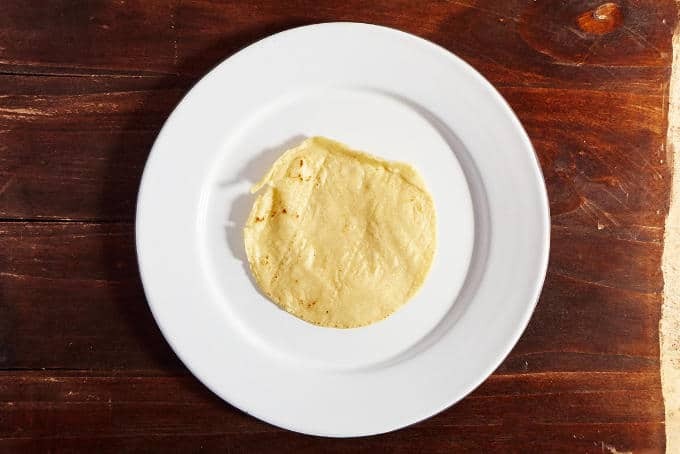 Fry each tortilla in medium hot oil for about 10 seconds each side. Remove before they start to harden or become crunchy. 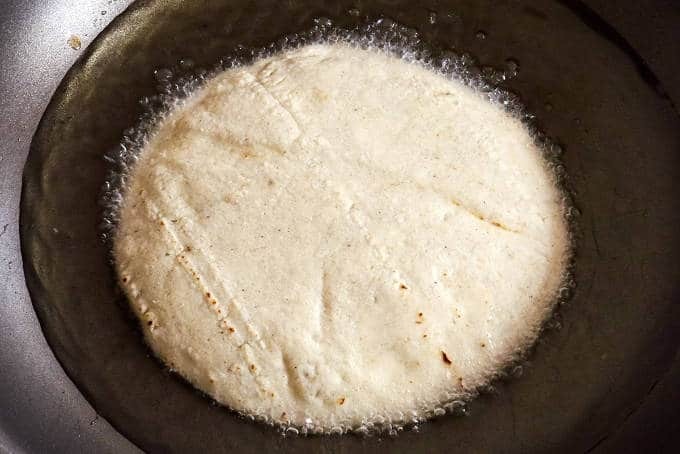 Drain the tortillas on paper towels to remove the excess oil. On each tortilla, add 1 slice of ham and fold the tortilla in half. 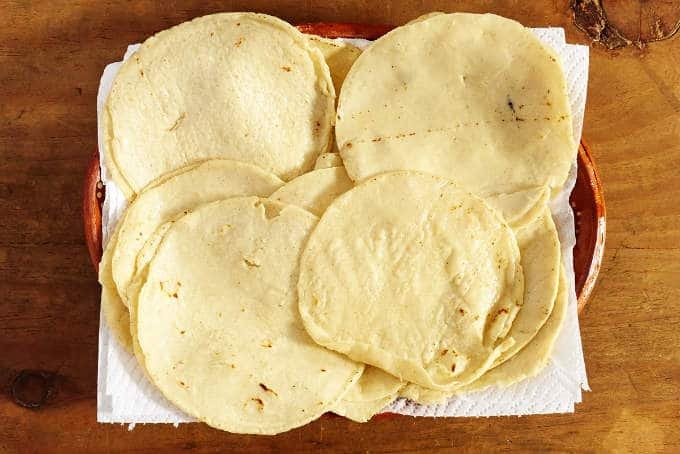 Place 3 or 4 ham filled tortillas on a plate. Spoon a generous amount of the bean sauce over the enfrijoladas. 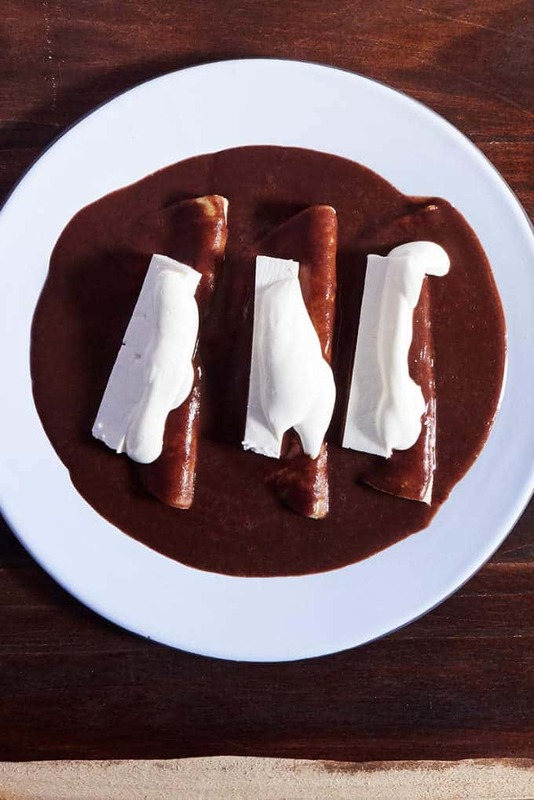 Top each enfrijolada with a slice of cheese and a spoonful of crema or sour cream. What kind of beans can you use? For this dish, pinto beans or black beans work well. Homemade beans or whole canned beans work equally well for this recipe. If you do used canned beans, don't add any salt to the beans when you blend them. Adjust the salt after you have cooked the sauce. Canned beans tend to be very salty and it's easy to overdo the salt.